GitHub - Gingernaut/Streetlapse: Streetlapse turns any Google Maps route into a Streetview timelapse. Want to be notified of new releases in Gingernaut/Streetlapse? Streetlapse is a web application that takes any starting and ending point in Google Maps and turns it into a Google StreetView timelapse. 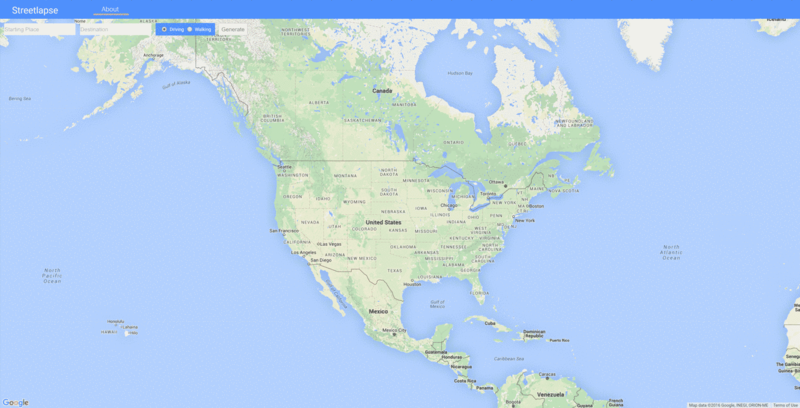 Built using the Google Maps API, Hyperlapse.js, GSVPano.js, and Three.js.